As I hear the Fourth of July fireworks exploding in the distance, here at home with my children sleeping in their beds, I am so grateful that I have never heard to true sounds of battle in my own country. I could have been born anywhere. My home could have mortar shells in the side of it, through no fault or doing of my own. Everyone around me could be living with PTSD and in mourning. We are lucky, so unbelievably lucky, to have been born here. How is it that this land has been so protected for so long? Big oceans, mostly. Only Mexico or Canada could literally drive into our country, and not many more could fly here without us knowing they were coming. We also have a fair amount of artillery that might dissuade some of the smaller countries from giving it a go. BOOM! In the distance. One of the loud, deep ones that you can feel. BOOM! BOOM! BOOM! Pow! It’s all a light show. Not when Francis Scott Key saw the battle over Baltimore Harbor in 1814. He saw and heard and felt that battle. He saw the flag after the fighting had raged all night, still flying over Fort McHenry, showing that we had not been defeated. Then he wrote that song, which like three people can sing well in any given crowd. The fireworks in New York are on the TV. It’s pretty. But I can actually feel the shudder from the ones here. I know they’re from a town nearby, on the outskirts of DC, but our proximity to the Capitol makes it more unsettling. BOOM boom boom boom POW boom boom BOOM POP POW BOOM! If we were under attack, the anti-aircraft guns would come up on the National Mall — oh, come on, you know they’re around there somewhere, dormant and camouflaged, like airbags. We would likely hear the explosions up here, just inside the Beltway. The only difference is we would hear airplanes, too. And sirens. And the sounds of five million people fleeing. 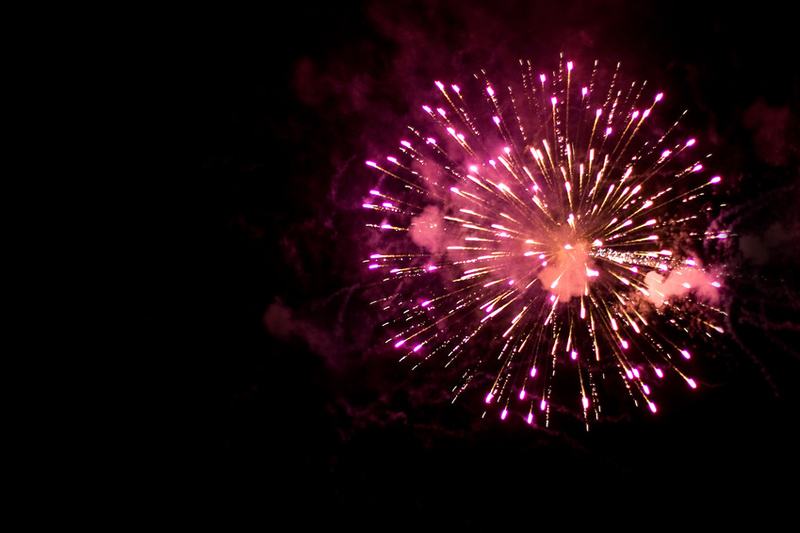 Fourth of July fireworks displays are designed to mimic the sights and sounds of the battles that were waged to make us free from our oppressors/parents (sorry about that, England. So glad we can be besties now). We fought here, again, during the tragic Civil War. Hawaii was hit so hard, it brought us together as a country more single-mindedly than anything else in our history. We took that fight, and others, to other countries. Will we wage full-on war on our own soil again? God, I hope not. BOOM BOOM BOOM BOOM BOOM BOOM BOOM BOOM BOOM BOOM BOOM BOOM BOOM BOOM BOOM BOOM BOOM BOOM BOOM BOOM BOOM BOOM BOOM BOOM BOOM BOOM BOOM BOOM BOOM BOOM BOOM BOOM BOOM BOOM BOOM BOOM BOOM BOOM BOOM BOOM BOOM BOOM BOOM BOOM BOOM BOOM BOOM BOOM BOOM BOOM BOOM BOOM BOOM BOOM BOOM BOOM BOOM BOOM BOOM BOOM BOOM BOOM BOOM BOOM BOOM BOOM BOOM BOOM BOOM BOOM BOOM BOOM BOOM BOOM BOOM BOOM BOOM BOOM BOOM BOOM BOOM BOOM BOOM BOOM! BOOM! BOOM! Then the sounds of other, not-so-distant explosions, coming from the National Mall.